HHD is an Oxfordshire-based customer service orientated company supplying an innovative range of products to a number of industry sectors in the UK including retail, commercial catering, hospitality and healthcare. The Autofry® system is a commercial range of ventless deep-frying catering equipment, featuring fully-automated operation and safe, fully enclosed design; ideal for high & low volume food-service equipment operators. The Hurricone® mobile cordless floor drying system is an innovative safety product which dries wet floors up to 90% faster than other methods and is supplied with its rechargeable battery pack. 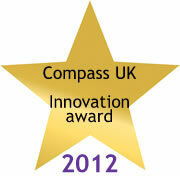 We are delighted to announce the Hurricone Cordless floor dryer has won the Compass UK Innovation award for 2012. No Hoods, No Vents, No Problem.